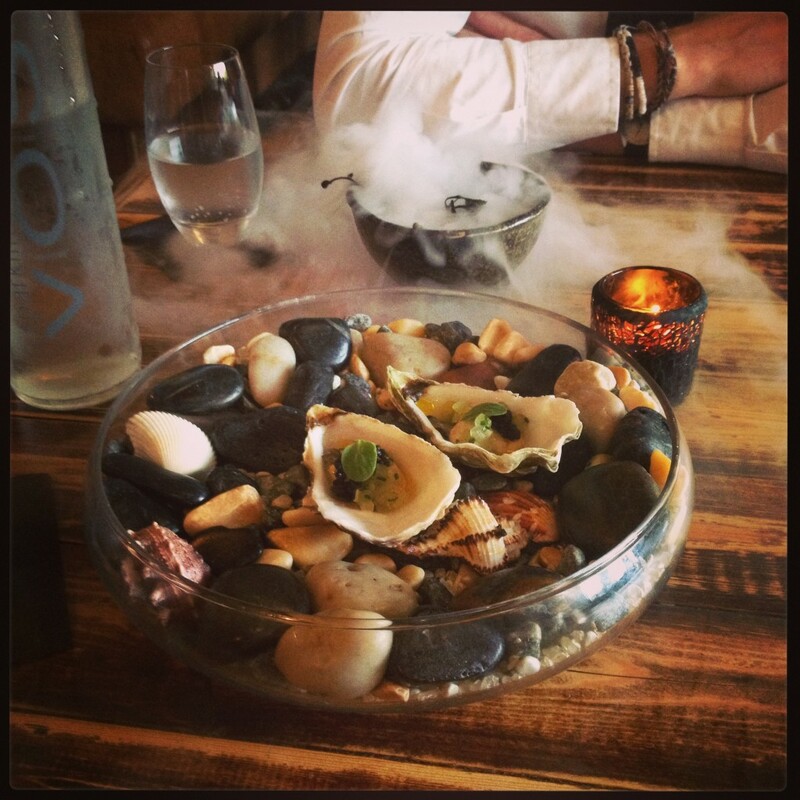 Oysters with yummy things and a bowl of seaweed – fancy! Mike and I went for a meal last night at House of Tides. It was part Birthday present, part anniversary and it was extravagance itself! A 7 course surprise taster menu with wine pairing. Truly incredible. The food was out of this world with lots of local, fresh fish and a gorgeous steak. Oh my goodness and the dessert?!? Amazing. The service was lovely and unassuming, and the wines really complimented each course. Despite the fact that I know relatively little about wine, I enjoyed learning about each one (although after 5 I couldn’t tell you what we had!). House of tides was fantastic, I’d highly recommend it and good luck to “Little Kenny Atkinson”, as I heard him described today (my friend went out with some of his old class mates recently! ), in getting us a Michelin! Us meaning Newcastle.